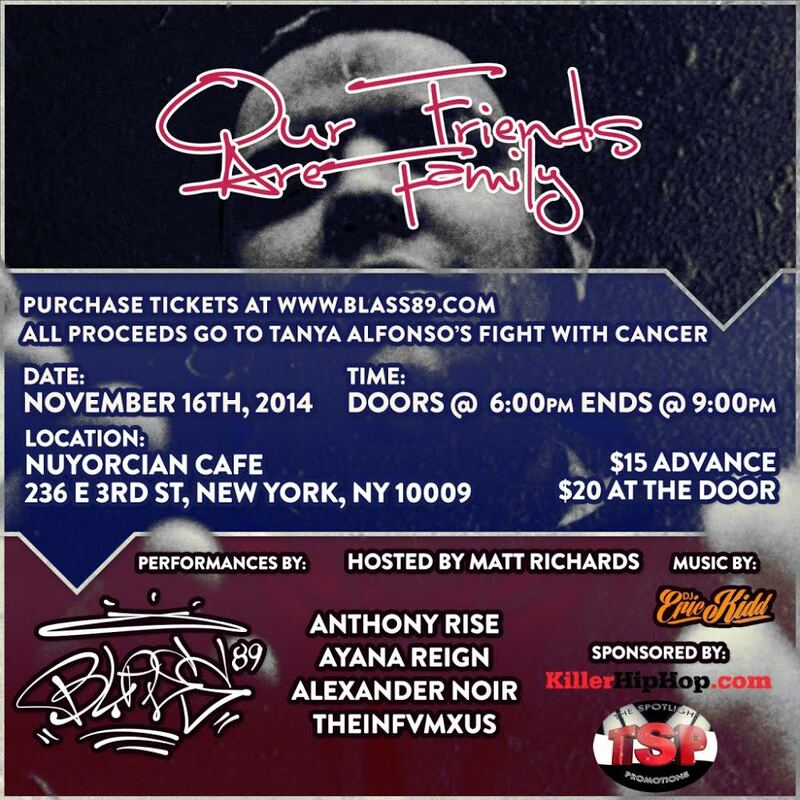 Please join KillerHipHop.com, Blass 89 & Friends on gathering proceeds for Tanya Alfonso, who is battling cancer. The event will be held on Nov. 16th, 2014 in the world famous, Nuyorican Cafe, in NYC. Music by KillerHipHop’s own, DJ Eric Kidd. There will be performances by RVR & Blass 89. Shoutout to Gina for putting this all together.